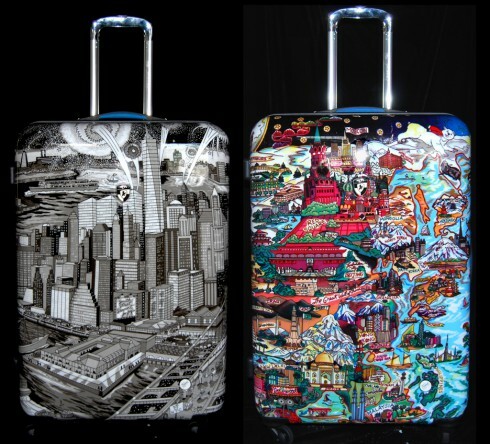 Luggage leader, Heys USA, is ready to roll out two new collections of hard side fashion luggage inspired by the 3D pop art of Charles Fazzino. Just about a year after the release of the original series of four different designs unveiled at Macy’s during Fashion’s Night Out in 2011, the two newest additions to the Fazzino line are already making heads spin. The two new sets join the current unique luggage series already available in stores worldwide: New York Wind Beneath Our Wings, Carnevale Veneziana, The Lights of London, and La Joie de Vie, Paris. The World and Manhattan collections will be available in December.